Some statistics on Geneva housing may help explain the lack of accommodation in the area. A housing market is considered to be fluid when it has a vacancy rate between 1.5 and 2%, depending on who one speaks to. The vacancy rate column in the table below sets the stage. Geneva has been in a severe housing crisis since 2000, the first year since 1992 that the vacancy rate was lower than 1% (0.8%). The vacancy rate plummeted to a terrifying 0.15% in 2006; today it hovers between 0.3 and 0.4%. 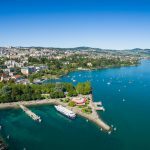 This means that at any one time there are only between 600 and 900 residences available for rent or for sale in Geneva (villas, apartments and studios of all sizes included). 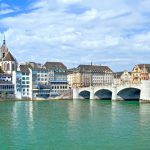 This situation is partly explained by another statistic – since 1999 Geneva’s population has increased by 73,000 people, yet the number of residences has only increased by 21,251 units. In the last quarter of 2013, there were 42,310 residential buildings in Geneva, 24,688 (59%) of them individual villas and properties. 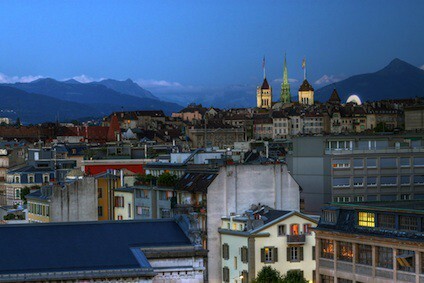 The 17,622 remaining buildings contain 198,351 residences two-thirds (67%) of which comprise small residences (studios and one-bedroom apartments); this, combined with the extremely low vacancy rate, helps to explain why it is not always easy to find residences with two or more bedrooms in Geneva. It also explains the city’s high property prices and the rents charged by landlords. Rental costs do not include utility charges (hot water and heating) or parking. Increasingly, properties for sale come with parking places as an additional purchase. The purchase cost per square metre in Geneva is expensive. Add to this the following requirements made of a purchaser and it becomes clear why only 35% of Swiss residents own the property they live in. 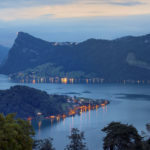 Financing the purchase of a property in Switzerland is more challenging than in most countries. Buyers must provide 20% of the purchase price from personal funds; 50% of this capital (10% of the purchase price) can be drawn or pledged from a Swiss pension plan (2nd and/or 3rd pillar). An estimated 4% of the purchase price must be provided from personal funds to pay notary fees, transfer duties and property taxes. A further estimated 2.5% of the total amount must be also provided to finance the mortgage note. Buyers have to pay charges and for the upkeep of their property, which in an apartment in an old building can cost as much as CHF 1,500 per month. Estimates for annual charges are generally based on 1% of the purchase price. 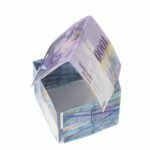 The Swiss real-estate process is a relatively unique one because it splits your mortgage into two ranks (rank 1: 65% and rank 2: 15%); rank 2 has to be repaid by your retirement date, rank 1 can remain open. This means that a lot of Swiss property owners never actually finish paying for their properties in their lifetime. Why? Tax optimization – mortgage interest is tax deductible.